I have previously talked about game designer Mike Carr on this blog, as he is one of the people who played in Dave Arneson's original Blackmoor group. I did an interview with Mike Carr last year which is available here. 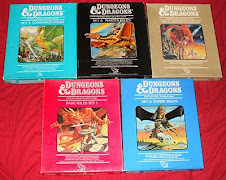 When it comes to D&D, Mike Carr is perhaps most famous for B1 In Search of the Unknown. Just the other day, the Grognardia Blog revealed that there's a 1904 novel called In Search of the Unknown by Robert Chambers, who also wrote proto-Cthulhu stories in the King in Yellow. This factoid and more lore that has appeared on the internet over the years has just been collected by D&D researcher Paleologos in a pdf document called the B1 In Search of the Unknown Sourcebook. The pdf also contains new material by Paleologos and is available through the Zenopus Archives. If you take another look at the map above, consider the fact that the original C&C Society World was based on a map of North America. 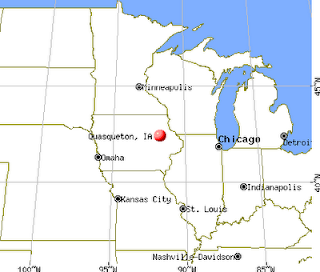 Blackmoor was located somewhere in Minnesota. Greyhawk was the equivalent of Chicago. It would not be unreasonable to assume that Quasqueton would exist as Mike Carr's realm in this proto-setting? According to Carr himself, the module is not based on any actual campaign however. Further speculations of B1's connections to Blackmoor may be found here. It was recently revealed that The Tomb of Horrors was written with both Greyhawk and Blackmoor in mind as possible locations for that adventure. It is now accompanied by B1 as two early era adventures not written by Dave Arneson with close ties to Blackmoor. Having had grown up about 10 miles from Quasqueton, IA, I had always wondered if there was a connection. Mike Carr was from Cedar Rapids, I believe , so this seems likely. Have You Played with Dave Arneson? Last Fantasy Campaign Coming to an End?